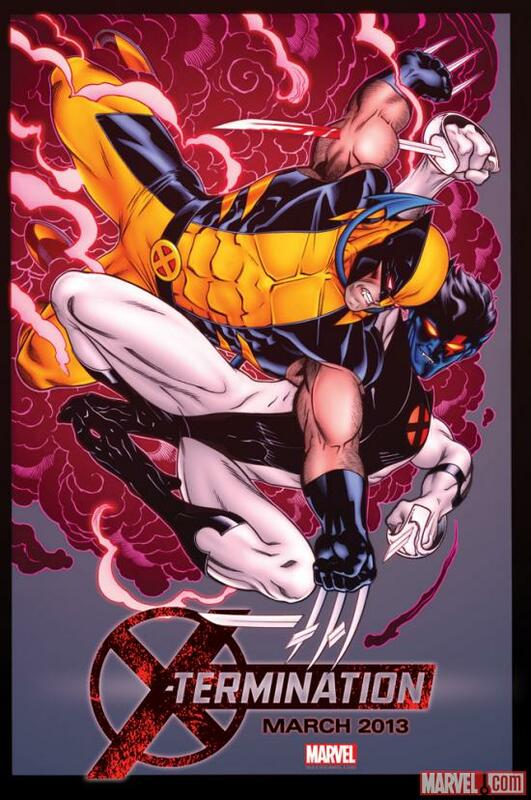 Looks like Age of Apocalypse Nightcrawler is about to get his comeuppance. Let’s hope this years x-over isn’t a massive, 13+ multi-title spanning like X-cutioner’s Song or Messiah CompleX. On second thought, let’s hope it is! I can’t even begin to tell you how into X-Cutioner’s Song I was. The height of the early ’90’s speculator boom. Every book poly-bagged with some useless trading card with another terrible Liefeld designed character on it. Everyone’s name had Fire or Blood or Wild in it. There was a guy named Stryfe! He was a clone of Cable. Or Cable was a clone of him. All very mysterious and poorly explained, which didn’t stop me from spending countless hours trying to figure it out anyway. Charles Xavier got killed (again!). Apocalyspe got killed! It was madness in 12 weekly chapters. It was…awesome.